The formative years of the Republic of Turkey, following the country's inception in 1923, were marked by a desire to create a modern, secular nation-state with an authentic national essence. In order to facilitate women’s participation in the modernization and nation-building efforts, a new type of public school was established in 1928: the girls’ institutes. Combining the basic post-elementary curriculum with an intensive home economics and vocational education, the institutes aimed to create a new generation of elite women. Adorned with “the scientific knowledge” and “the European taste,” the graduates were expected to transform their families and thereby society. They could also participate in the growing economy as qualified blue collar laborers or as entrepreneurs in the service industry. 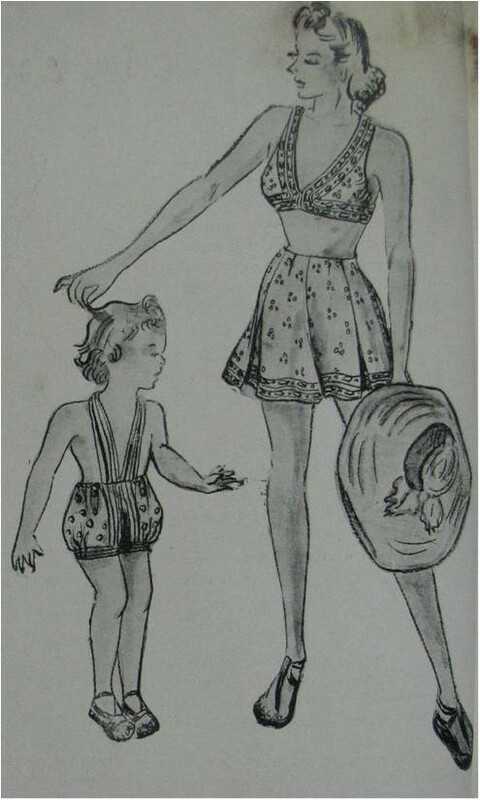 At a time when the government embarked on transforming the bodies of the citizens with a series of laws and regulations, fashion was of central importance at every girls’ institute. 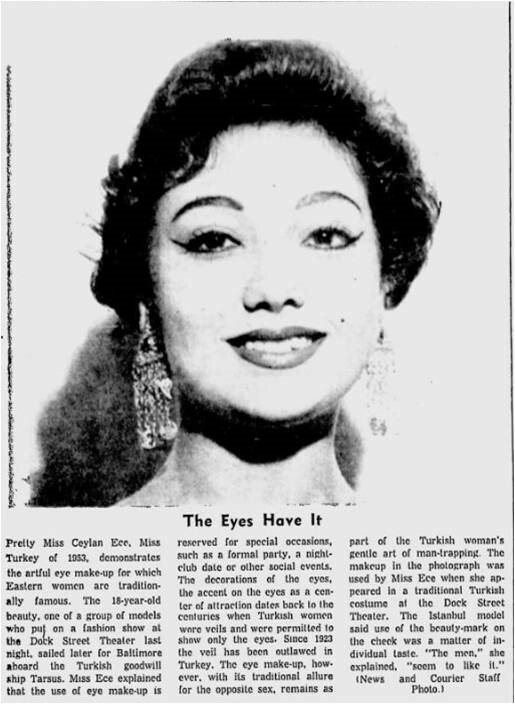 Operating as fashion schools and haute couture fashion houses, the schools also proposed a national style by combining Western techniques and forms with diverse dress elements collected from within the borders of the nation-state and redefined as “Turkish.” This style, later adopted by generations of haute couture designers, was an attempt to reconcile “Turkish culture” and “European civilization.” An illustrative example of this style would be the sketch depicting a women’s beach suit consisting of a bikini top and mini culottes and children’s beach bibs and shorts, published in the 1942-43 yearbook of Izmir Cumhuriyet Girls’ Institute. Both items were to be made of yemeni (peasant headcoverings) At a time when mixed public beaches were still relatively new, these fashions could mark these spaces as the location of a uniquely Turkish modernity while also guaranteeing the Turkishness of the bodies occupying them. 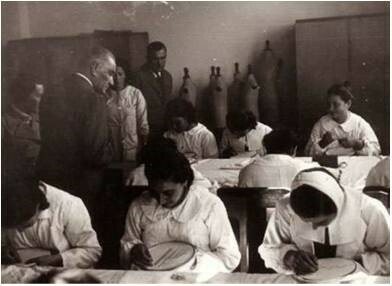 Over the years, the girls’ institutes and the national style they proposed lost their significance for the Turkish fashion industry. Regardless, the fashion show has persisted as a popular diplomatic performance genre. Today, the institutes still represent Turkey around the world, from Bahrain to Australia.